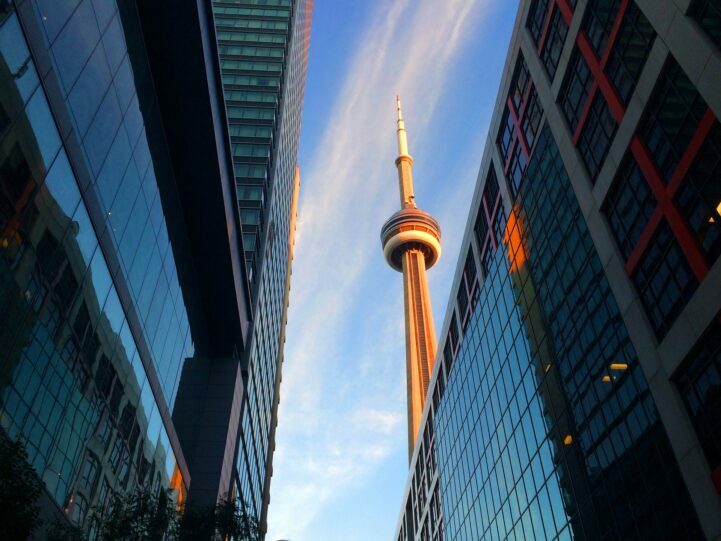 Think Toronto is the right move for your well-paid tech career? International commercial real estate firm CBRE prepared a report for US tech firms, ranking the best value for their buck in North American tech hubs. The most surprising thing was how low paid Toronto’s average tech worker is, especially since they had so many years of experience. Obviously, we had to crunch the numbers to find out what kind of real estate these employees are going to be looking at. The CBRE study of tech employees showed that Toronto wages are substantially higher than the median of all wages in the city. The average tech employee earned CA$58,759 (US$47,201), the second lowest of all North American tech hubs. This leaves you with roughly CA$45,310 after taxes, which is definitely higher than Statistics Canada’s average for the city. Let’s see how far that goes in terms of housing. The first stop for a tech employee is renting, where prices are rising very rapidly. According to the Toronto Real Estate Board (TREB), the average lease is now $1,910 for a one-bedroom, 17% higher than the same time last year. At that rate, you’ll be paying $22,920 for a year’s worth of rent, just over 50% of your salary. You better find a roommate if you want to save anything, or start a dual income household – fast. Renting is unaffordable, so maybe buying a house would work out for these employees? Experts say you should spend 3x your net-income on shelter, including the cost of carrying all expenses. Tech employees are making way more than the average family is, surely they can afford a home. The most affordable home type are condos, which are likely the future of Toronto living. The average condo sale in June 2017, was $552,679. At the gross pay your average tech worker would make, this is 12.2 times their income. That’s just a little more than 3x. If you saved 10% of that income, it would take over 24 years to save a downpayment for a non-high ratio mortgage. This assumes that prices grew at the same rate as your income. Dreaming big, and want to know how long it would take you, a “high paid” tech employee in Toronto to save for a detached? The average detached home sold for $1,386,524 in June 2017. At the gross average pay, that’s 30.6 times your median income. If you saved 10% of your income towards your down payment, you’re looking at a massive 61 years of saving. This also assumes home prices slow down, and grow at the same rate your wages do. Hopefully Google cures death soon, amiright? Now in a realistic scenario, you’ll hopefully meet a partner and buy a home together. Let’s assume they’re also in tech, and save the same amount for a downpayment. Only 12 years for that downpayment on a condo, and just over 30 years for a detached. So…Omaha is looking pretty good right now. As a tech worker, $58,759 strikes me as awfully low for an average. I got paid more than that right out of university 8 years ago, and it only increased from there. Sure, some people do cheap-skate web dev work or maybe graphic designers and service technicians are underpaid (does that count as “tech”?) but really, I wonder what their sources are. If you’re a capable developer in Toronto, don’t anchor your salary expectations to low averages like that. Seven years ago, I was paid $60K and I had a four-year degree and over a decade of paid work experience.